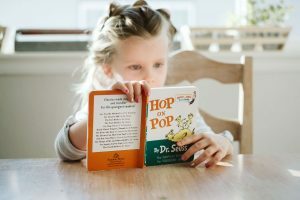 Teaching your child to read is one thing that every parent gets to look forward to but it can be an intimidating task. Where are you supposed to start? 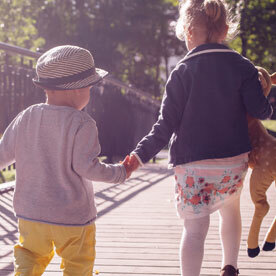 How are you supposed to know if your child is on the right pace? While every child will learn to read at different paces, there are many things you can do at home to help improve their reading skills and make learning to read simpler and fun for them! 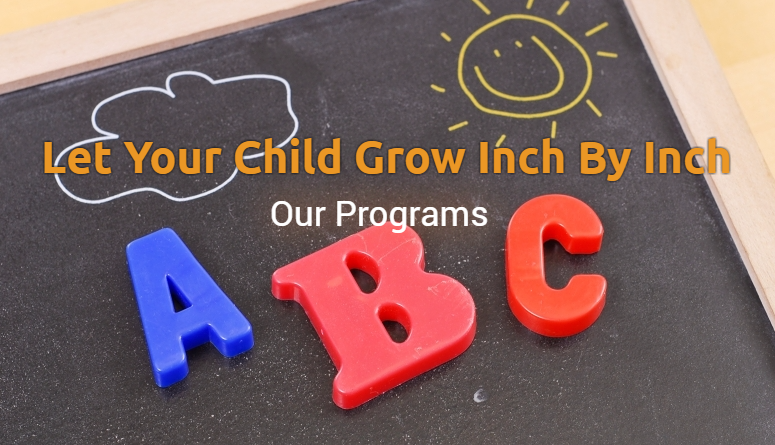 At Inch By Inch Child Care in Bedford, we work with your students to help them learn a variety of different skills, from social skills to reading skills and everything in between. 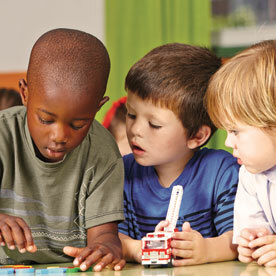 While our caring and nurturing staff can help your kiddo learn, grow, and develop in a fun and stimulating environment. While we do our part to help your child learn to read, there are so many different things you can be doing to assist your child as well! In this blog, we are going to give you a variety of tips to help make teaching your child to read simpler. Read on to learn more and get started today. Reading with your kiddos is a great way to get them to start reading themselves. Reading to your child will help them develop better language skills and help them learn to read. Reading rhyming books, song books, and other fun children’s books to your kids is a great way to begin teaching them to read. As they get older, they will begin to understand the words and follow along as you read. Plus, reading to your children is a great way to build a better bond with them. They will enjoy the time you spend reading with them and remember those moments as they get older. This can also help them develop an enjoyment for reading. When you read with them for fun, they will begin to see it as a fun activity that they can do with you and on their own as they get older. Try reading to your child for about 20 minutes every day. You can read to them before bed and make a fun routine out of it! Adding labels around your home is a great way to help your child learn to read. You can label anything and everything in your home, while it may not look the best, it can truly help your child learn how to read. Label chairs, clocks, plants, baskets, and any other item in your home that your child comes in contact with daily. Label shelves with the items on them, label baskets and tubs with what is inside them, and label cabinets with the items they hold. As your child explores your home, they will be able to see these labels and begin to connect the word to the item. This is especially helpful as they begin to learn to read. They will be excited to run around the house reading the labels on different items. Pointing out letters and words to your child in everyday life can help them realize that they are all around them and that reading can happen anywhere. 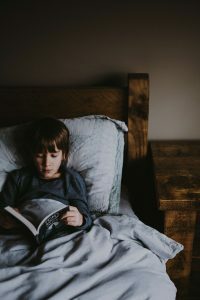 As your kiddo begins to read, they will get excited finding words in the grocery store, while walking around the mall, or while riding in the car. As you shop or walk through the neighborhood with your kiddo, point out different letters and ask them what letter it is and what sound it makes. This is a great way to help them learn the alphabet, and as they get older you can point out full words and ask them to read them for you. Your child will be excited to find different words while you are out and about taking care of your daily errands. Playing games with your kiddo is a fun way to spend your time, but when you choose educational games, you can also be teaching your child while having fun! Pick games that involve letters, numbers, and words to help them learn a thing or two. Letter matching games with pictures are a great choice since they will be able to learn the letters and connect the sound to the picture. 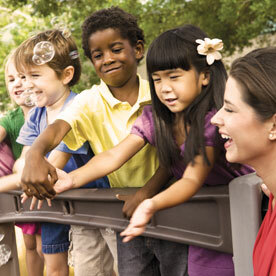 These games make learning fun, which can help make it easier for your child. As you are reading to your child, ask them questions to make sure they are paying attention to what you are reading. Ask them what they think will happen next in the story or what they think the story is about after reading the title and showing them the picture on the front cover. This can help improve their interest in reading and make it more enjoyable for them. 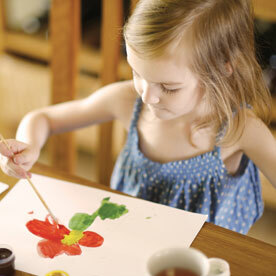 It can also help with their creative thinking, which is another important skill for your children to learn. As your child improves their reading skills, let them read to you. This will allow you to help them read through tougher words or phrases and give them more practice. Giving your kiddo a chance to read out loud will improve their reading skills. If they read through a book and it is choppy or they make several mistakes, ask them to read it to you again. You can also read it to them and then have them read it back to you so that they have a better understanding of what they are reading. This will also give you an opportunity to correct their mistakes or tell them to sound out a word they mispronounced. After your child learns to read, make sure that it isn’t just a school activity that they dread doing. Make it fun and make it a common activity in your household. Spend time reading each day and have your child join them. Take them to the library to pick out books on topics that interest them and ask them about what they read. If you make reading common in your home, your child will not only learn to read well, but learn to love reading. Reading is something we do every day, whether it is a book, a text message, work email, or a recipe. 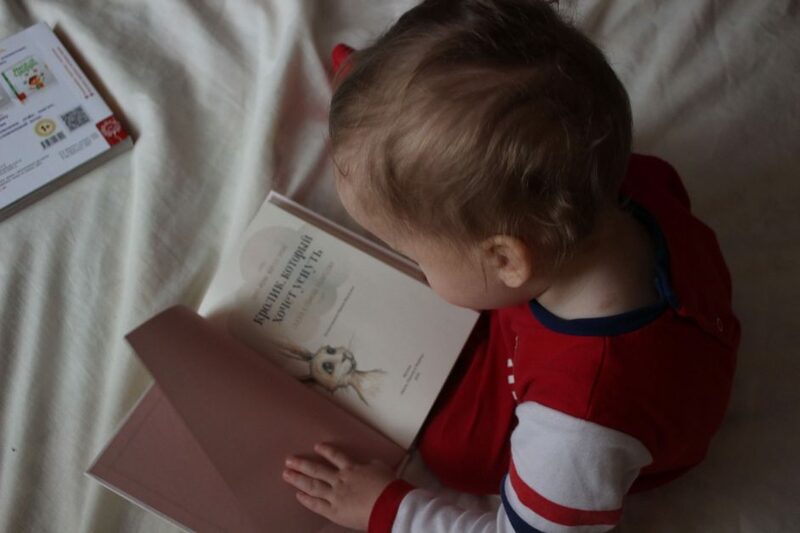 Teaching your child to read is one of the most important lessons you can teach them, and if you do it right, you can even get them to love it! At Inch By Inch Child Care in Bedford, we offer childcare services that can help teach your kiddo this lesson and many others. Contact us today to learn more!